The federal government of the United Arab Emirates (‘UAE’) has sought to encourage foreign direct investment over the last decade. As is fitting for a country with an economy that has changed from one dependant on oil revenues to an economy that is diversified, the UAE boasts a modern business infrastructure with a corporation-friendly tax regime and a healthy banking and financial system. At both a federal and Emirate level, government has sought to ensure that policies provide an attractive environment for foreign companies and individuals looking to do business in the UAE. Recent developments include the announcement of a new Foreign Direct Investment Law which was the subject of a decree in 2018. The Law provides for the formation of a Foreign Direct Investment Committee whose remit it will be to provide recommendations to the UAE government as to certain activities and specific government sponsored projects which may be carried out onshore (i.e. outside the free zones) by companies wholly owned by foreign investors in the UAE. The federal government’s remit has been to ensure that the UAE remains at the forefront of those locations best placed to facilitate business in the region. At the heart of this drive is to ensure flexibility in the business offerings to foreign investors looking to do business in the UAE. As the country’s infrastructure, transport and telecommunications networks have continued to develop to facilitate a world leading business environment, so the legal framework on the UAE has also seen significant advances. The primary development in the UAE regulatory framework has been the development of designated free zones (now numbering over 40). These free zones are separate regulatory environments set up with specific businesses and industry sectors in mind. The companies’ regulations employed are market driven and, in particular, enable the possibility for wholly-owned foreign entities as well as guaranteeing tax holidays for corporate taxes for between 15 and 50 years. Additionally there are no foreign exchange controls regardless of whether a business is incorporated in a free zone or on shore. The UAE has also recently enacted a new bankruptcy regime, a revision and restatement of the Commercial Companies law and instituted VAT legislation. In addition, the UAE is also a signatory to the New York Convention on the recognition of arbitral awards and has recently adopted an arbitration law based on UNCITRAL model law (a widely accepted international standard of arbitration law). 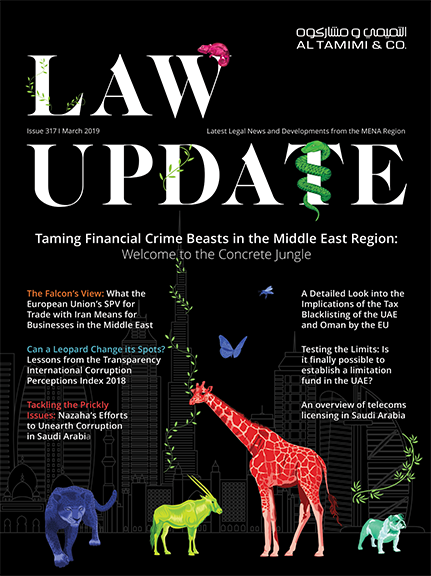 Notwithstanding considerable enhancement to the regulatory and business environment, certain aspects of the UAE legal regime persist (though as we note further in this article fundamental principles of corporate organisation are mooted for change). To date no resolution has been made to grant an exception to Article 10 of the CCL and in our view the likelihood that any exemptions created under this article would, at least in the short term, be limited to specific business sectors identified for which the exemption would provide a benefit to the UAE economy. foreign companies may establish a branch office of the parent company. A branch does not have a distinct legal personality separate from its parent (and hence no limited liability is enjoyed by the branch) and is required to appoint a service agent (a UAE national or a company wholly owned by UAE nationals) and is limited to conducting business activities similar to those of the parent company. In addition to the above mentioned exceptions to the basic legal restriction it is common in the UAE for foreign investors to participate in the ownership of UAE companies pursuant to a nominee arrangement directly, whereby the investor owns legal title of up to 49 percent, in conjunction with a UAE nominee shareholder that owns the remaining 51 percent of the issued share capital of the company. Such agreements are well known and understood by the regulators (many informed market observers believe that 75 percent to 80 percent of all limited liability companies in the UAE have some form of such side agreements in place). In this arrangement, and on the terms of a private contract between the parties, the UAE nominee agrees to hold its legal interest in the company as a bare nominee on behalf, and for the benefit, of the foreign 49 percent shareholder. The nominee agreement would provide for the UAE nominee shareholder providing the benefit of such shareholding, in terms of the economic benefit and voting rights for and on behalf of the foreign shareholder and acting in accordance with the directions of the foreign shareholder. 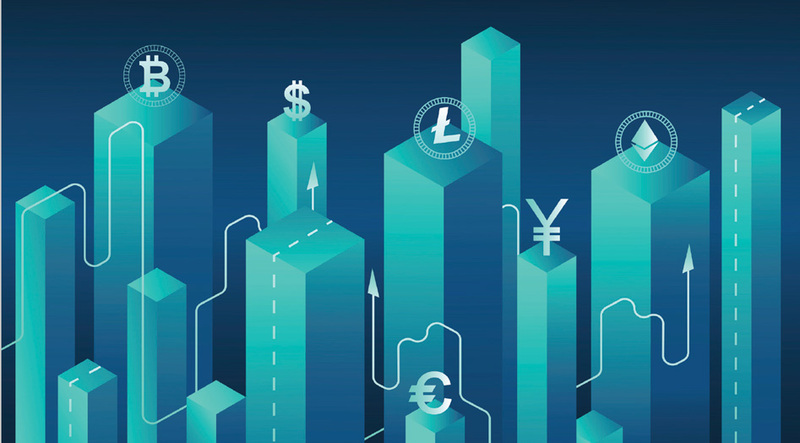 In return for becoming and remaining the legal holder of the shares (and providing administrative duties) the UAE national receives an agreed annual fee which is often not material in the context of the enterprise. Whilst these types of arrangements are extremely common in the UAE, they are not technically enforceable. However, the validity of nominee agreements is only likely to be brought into question in the context of a dispute between the parties thereto rather than as a result of any investigation being undertaken unilaterally by the authorities. Although competent authorities would have legal standing to adjudicate on the validity of any nominee agreement, if it was ever disclosed to them, before the courts, there is no instance known to us of such a challenge being brought by a public authority in the UAE. Given the potential relaxation of shareholder restrictions, foreshadowed in the Foreign Direct Investment Law as discussed above, and given that this is indicative of the federal government’s ongoing intention to encourage foreign investment in the UAE, taking a hard line on the prohibition of a particular nominee agreement would be inconsistent with that stated policy objective. Foreign interests in real estate in Dubai are regulated by the Law No.7 of 2006 concerning Real Property Registration in the Emirate of Dubai which governs property ownership by individuals and companies in the Emirate of Dubai. With the exception of offshore vehicles (e.g. Cayman BVI), funds and trusts, foreign investors are able to register freehold title and long term leasehold interests in certain designated areas which comprise a significant proportion of the some of the prime real estate in Dubai. In Abu Dhabi foreign ownership of property in Abu Dhabi is regulated by Law No. 19 of 2005 on the Property Ownership in the Emirate of Abu Dhabi, as amended by Law No. 2 of 2007. This law grants foreign investors the right to acquire real estate interest within the investment zones determined by the Abu Dhabi Executive Council from time to time. A right to own on a freehold basis in Abu Dhabi means a right to units or entire floors in buildings within the Investment Zones. The right does not include by association a right to a share in ownership of the underlying land on which the building is situated (this inability for Non-UAE/GCC Nationals to acquire any ownership interest in the underlying land in an Investment Zone differentiates it from Dubai and is reflective of long held public policy in Abu Dhabi). Other than in respect of real estate and the foreign ownership restrictions on onshore companies, ownership of assets in the UAE is largely unrestricted. Foreign interests can extend to all types of moveable assets and only limited classes of assets (motor vehicles, equipment and machinery) are the subject of registration requirements that may require the possessor to an appropriate commercial registration in UAE. As further evidence of the continuing development of the UAE’s business friendly regulatory regime, with the advent of the new Federal Law No (20) of 2016 on Mortgages of Movables as Guarantees for Debts, it is now possible to pledge future assets (i.e. receivables) or to create what is known in other jurisdictions as a ‘floating’ charge. Mortgages can now be created over moveable assets by way of a central register of such mortgages which will reduce the requirement of lenders to employ commercially onerous forms of security (such as personal guarantees etc.) whilst also making enforcement less expensive with the by-product being better terms being offered to lenders. Al Tamimi & Company’s Corporate Commercial team regularly advises on foreign UAE investment. For further information please contact Richard Catling (r.catling@tamimi.com).